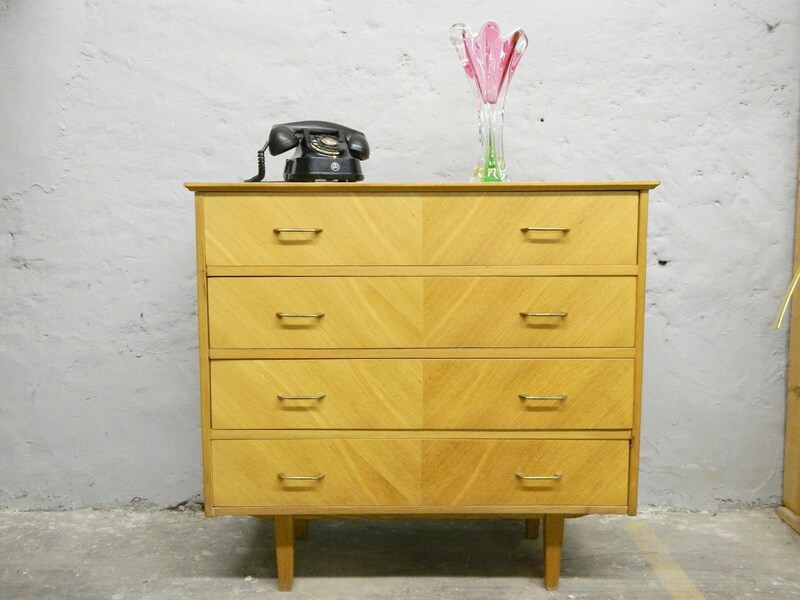 Gorgeous 50s dresser with four spacious drawers. Interesting grain on the front. 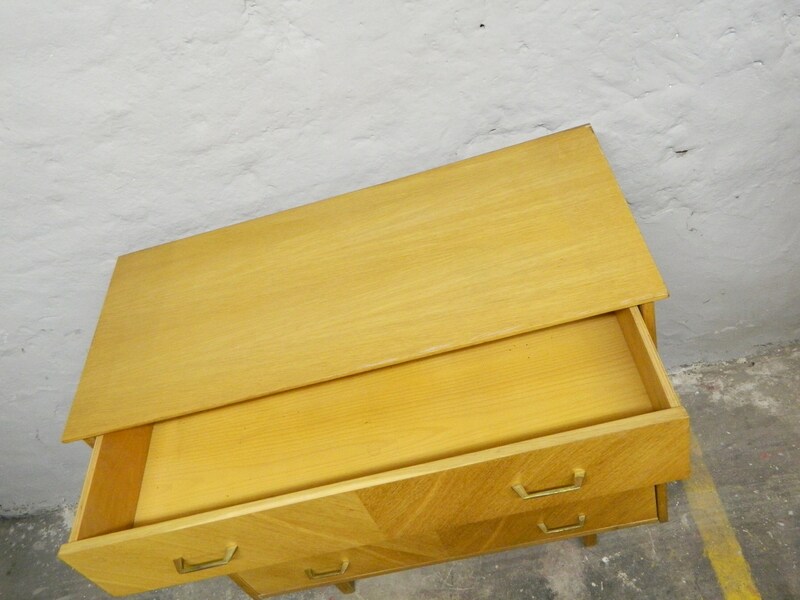 The chest of drawers is very stable and heavy. Good quality because made of table leather. 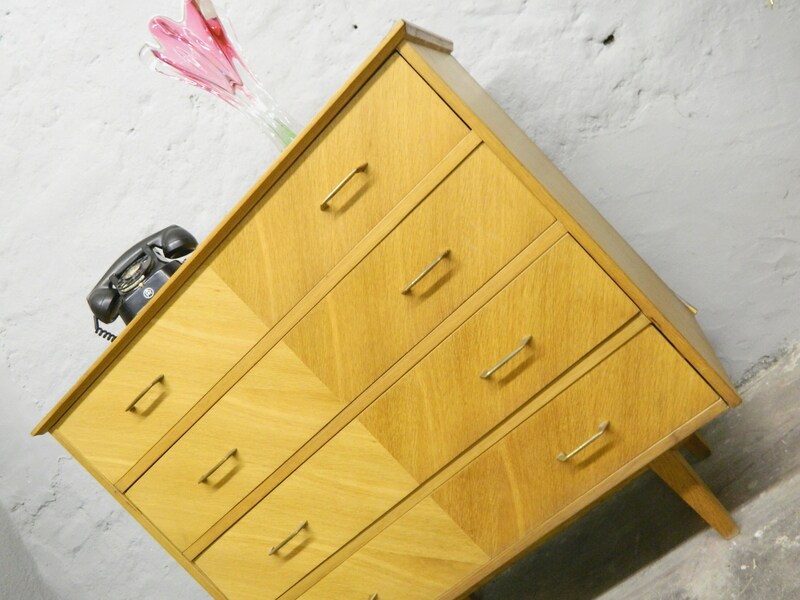 A beautiful piece of furniture for the bedroom, hallway or even a children's room. Made in Germany. Warning: For infants in the household, dressers with drawers should be additionally attached to the wall for safety! Also like self-collection in our warehouse in Solingen. Shipping through forwarding company 90 euros throughout Germany. Delivery time 10-20 days after payment has received.